Prabhu grew up as an only child in a Christian family in a small village in South India. He had been interested in flying from a young age but never thought his dream would become a reality. When he was 17 years old God made a way for him to start aviation training. During the five years of training, Prabhu knew that he wanted to use flying to serve God. Once he had achieved his Commercial Pilot’s Licence (CPL) he explored what he could do for God with his new qualification and discovered MAF. By 2015 Prabhu had started flying for MAF in Arnhem Land. Two and a half years later in 2017, Prabhu met Christina while on holiday in New Zealand. Christina had grown up in a Christian family and had been training at Eastwest Bible College since July 2016 with the vision of serving with MAF once she graduated in July 2018. Prabhu and Christina got married in December 2017. 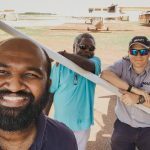 They hope to go back to Arnhem Land where Prabhu was previously based, and continue to serve God with MAF there. 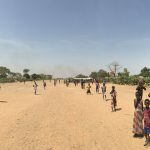 Prabhu will use his background in aviation and, along with Christina, will be establishing relationships and witnessing to the people in remote communities. Prabhu & Christina are members of MAF New Zealand.